Maritzburg United had to settle for a 1-1 draw against Platinum Stars on Saturday night, despite a valiant late effort at the Harry Gwala Stadium. Both goals came in the second half as Robert Ng’ambi scored for Stars before Evans Rusike equalized for the Team of Choice. Stars had the first chance when Eleazar Rodgers sent a header over the bar following a fifth minute corner. Philani Zulu had a couple of half chances for United, and then there was chance for Dikwena six minutes before the break, but home Glenn Verbauwhede saved Masibusane Zongo’s long range shot. Second half sub Ryan Moon forced Stars keeper Mbongeni Mzimela into saving his 54th minute snap shot from outside the box, testing him again from close range three minutes later. Moon then saw his attempted chip into the top corner stopped Mzimela. Stars scored in the 72nd minute when Siyabonga Zulu pulled the ball back across goal for Robert Ng’ambi to finish with a well taken effort. 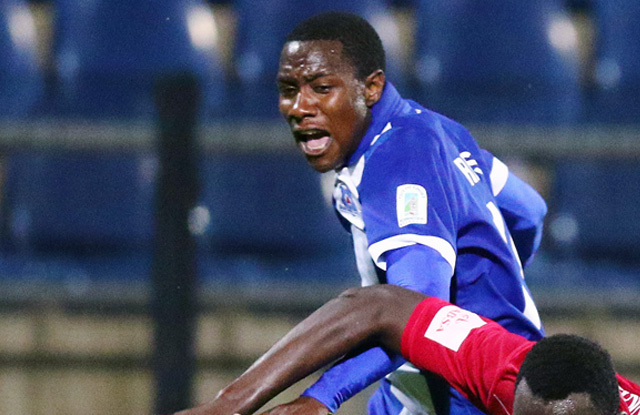 Maritzburg equalized when Evans Rusike scored with a superb header at the near post following a Kurt Lentjies cross. Zulu went close with a 35-yard rocket inches wide as the Team of Choice gave their all for the winner, but it just wouldn’t fall for them. Stars ended the match with 10 men as Ndumiso Mabena received a late red card for a foul on Lentjies.